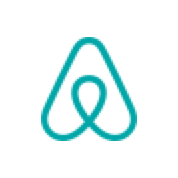 At Airbnb, we believe that technology-enabled, people-to-people home sharing promotes healthy tourism—tourism that benefits the hosts who share their homes, the guests who are seeking authentic experiences, and the local residents whose cultures, customs and economies are respected, observed and supported. To expand engagement in healthy tourism, we are constantly searching for new ways to bring the benefits of our platform to more communities. Africa now counts 100,000 listings, and hosts on Airbnb have welcomed 1.2 million guests in the past year. Check out our community in action. A scene-setting discussion on the potential of innovation and technology to help tourism deliver economic empowerment in communities across Africa. A debate on what is needed to develop the next generation of homegrown tourism entrepreneurs across Africa. A discussion on how to build tourism products for a 21st century audience and how Africa can lead the way in putting real communities front and centre on the travel itinerary. Cape Town, South Africa is facing its worst drought in over 100 years. Delve into an in-depth discussion on building sustainable, resilient tourism fueled by innovation and technology. The role of the media in shaping Africa’s narrative—a discussion with travel writers, bloggers and journalists on the role of media in getting people off the beaten track. A discussion facilitated by the World Bank Group on what innovations in flexible financing can help more people and SMEs gain access financing for their innovations. A panel on the sharing economy and the role of government in advancing innovation and technology that drives economic empowerment. Interactive dialogue with changemakers who are making an impact through technology and tourism on the ground across the African continent. A presentation sharing learnings from the Airbnb Africa Academy, a programme focused on empowering individuals and organisations in under-resourced communities by helping them share homes and communities with a global community. Venue: Workshop 17 Meeting Room, The Watershed, V&A Waterfront. Welcome Soiree at V&A Waterfront will feature remarks by Sisa Ntshona, CEO, South Africa Tourism @sisantshona, Velma Corcoran, Country Manager, Airbnb @VelCorcoran, and a Musical Experience by Shafiek Kimmie. Transportation: Please use Uber voucher provided by Airbnb. No parking available at venue. Early arrival recommended. Opening Ceremony & Welcome by Summit MC Afua Osei, Founder, She Leads Africa @AfuaSOsei with performance by Black Roots Foundation. Chris Lehane, Head of Policy and Communications, Airbnb @ChrisLehane. A scene-setting panel discussion on the potential of innovation and technology to help tourism deliver economic empowerment in communities across Africa. An innovator has 7-10 minutes and up to 7 slides to share their journey and an Aha-moment. A discussion on the role of government in advancing new forms of tourism and innovation that benefits everyone. Grab lunch, network and explore local businesses. An inspirational talk by Sihle Tshabalala, Co-founder & CEO, Quirky 30 NPC and Quirky Innovations @sihletshaba, on the power of innovation to transform our lives. An engaging discussion with public sector leaders in the Western Cape and in Kenya on how government can harness tourism to support communities during and after times of crisis. To reap the benefits of technology and tourism, communities need to have the skills to get online. A panel discussion on what needs to be done to bridge the digital divide. A Conversation between Cassidy Blackwell, Airbnb, @cassblackSF and Afua Osei, Founder, She Leads Africa, @AfuaSOsei. Buses depart from Guga S'thebe entrance for dinners hosted by local Airbnb hosts at various Cape Town restaurants. Airbnb Dinners in various Cape Town restaurants hosted by Airbnb hosts. Bus transport from Cape Town restaurants to Nightcap and Airbnb Concert at the Raptor Room, 79 Roeland Street, Zonnebloem, Cape Town. Nightcap & Airbnb Concert at the Raptor Room at 79 Roeland Street, Zonnebloem, Cape Town featuring MC Marc Lottering and music by Jimmy Nevis and Demi Lee Moore. Programming starts at 9:00PM. Final call for drinks is at 10:30PM. Entry only with ticket. Delegates need to organise their own transportation home. Welcome remarks by MC Afua Osei @AfuaSOsei. A panel discussion on the role media plays in shaping the African continent’s narrative - as well as its role and responsibility in telling the stories that drive more inclusive tourism. Hermione Nevill, Senior Tourism Specialist, The World Bank Group, @HLTN_28. Panel discussion on how we build compelling tourism products to enable a growing interest among travelers in local, authentic experiences. What role can technology play in bringing travellers into the communities that can benefit most? Presentation by Velma Corcoran, Airbnb SA General Manager @VelCorcoran. She will share learnings from the Airbnb Academy, a programme focused on empowering individuals and organisations in under-resourced communities by helping them share homes and communities with a global community. A lively panel where entrepreneurs share their unique stories of building businesses in Africa. We get insights into the challenges and opportunities they face every day. Grab a lunch and join a conversation with tech and tourism innovators. Developing technology and innovation often comes with a high level of risk, and tourism enterprises are 99% dominated by SMEs with well-documented challenges in accessing finance, processing payments and other issues. What innovations in flexible financing can help shift this landscape in Africa? Buses depart to central Cape Town for delegates in need of transportation into town. Delegates registered for Experiences meet at Guga S'thebe entrance. Featured Experiences are “Townships into town” hosted by Project Maboneng; “Art workshop in the townships” hosted by Our Workshop; “Gumboot Dance” hosted by Happy Feet; and “Beading and technology” hosted by Quirky 30.